Skirts are sold in multiples of two's. Velcro and clips are included. Standard height of skirt is 30". 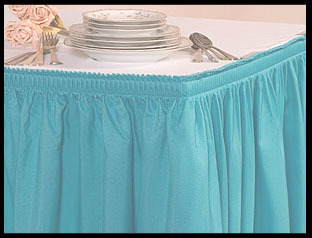 This picture is an example of a shirred skirt.